It was easy to run off to the various alleyways of Venice and then return to our spot on the waterfront at Hotel Metropole. Convenience in location is everything, and we were able to catch a water bus from the steps of our hotel, head to Lido for pizza and local red wine, hop a boat back to San Marco, run left from Hotel Metropole to the residential area of Venice to explore, sip a Bellini at Harry’s Bar to the right, and mid-day, head for a sip of Oriental tradition: tea time in the Oriental Bar at the Metropole Venice. I arrived at the tea room for a ceremony in tasting amid soft music and candlelight. The scene was set and I was relaxed before my first sip. Two tea-time experts catered to my curiosity explaining to me that green tea is meant to brew for three-to-four minutes and is best served with fish, while white tea is steeped at 70 degrees for five-to-seven minutes. Black tea is steeped at 90 degrees for five minutes and is best served with caprino cheese and beef seasoned in a savory blend of Italian herbs. 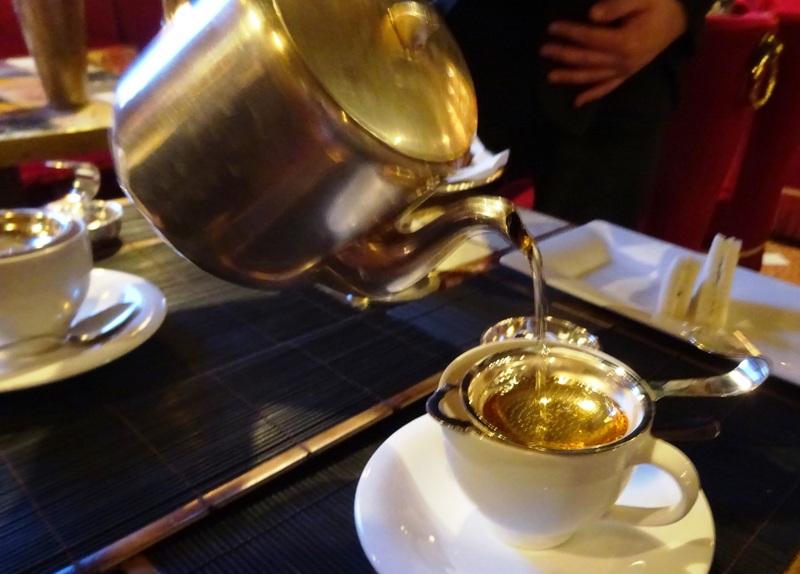 The Oriental Bar collaborates with the French company Dammann Frères from October to March in offering a tea ceremony of 30 most famous blends in the world. These blends include Olong, Ceylon O.P. Kumana , green Genmaicha tea, Nepal Himalaya Shangri-La, Darjeeling Superior, Assam Superior and Yunnan Celestial. 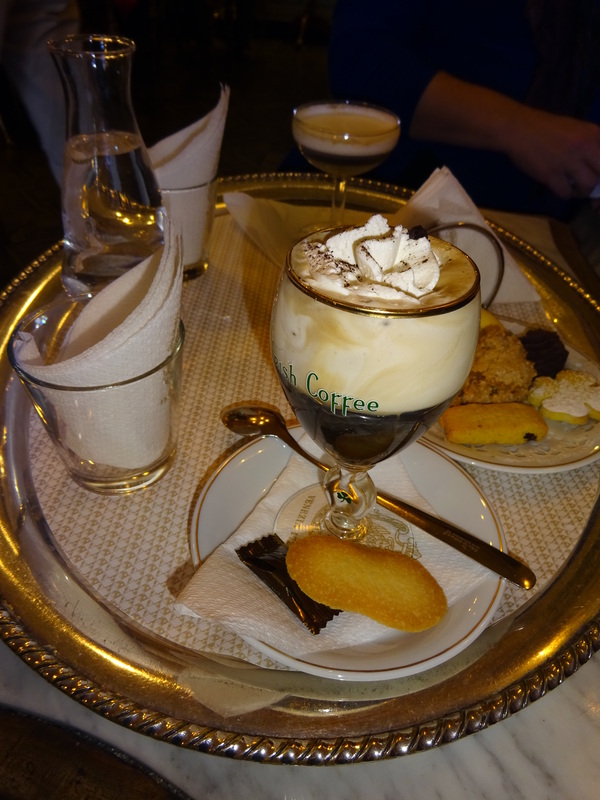 Next stop: Caffe Florian, a historic landmark of Venice. We weren’t sure what to order: coffee or a cocktail? So we ordered coffee liqueur cocktails as a compromise. Three words: Worth. Every. Penny. The interior design alone is worth a visit. Fortunately, it’s location is a short walk from Metropole Venice and we were able to freshen up before and after our activities. One particular activity that was educational and special was a tour we signed up for through Walks of Italy for a Legendary Venice Tour. From the Doges Palace to St. Mark’s Basilica, it was thrilling to hear the background stories stepped in artwork, interior design extraordinaire, and spaces that one could only imagine filled with dukes and nobles of the past. You can’t get this type of experience unless you’re with an expert tour guide. Aside from the tourist attractions, it was our off-the-beaten path experience of turning to the left of Hotel Metropole to walk through the residential area. This experience made the entirety of our visit to Venice well-rounded and worth a toast to accomplishing many activities, sips and tastes into a few short days.